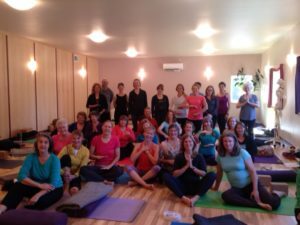 Join Shelly Prosko, physical therapist and yoga therapist, as she returns to Juneau, Alaska for this highly sought after PhysioYoga weekend where you will learn about the three diaphragms of your core system: respiratory, pelvic and vocal; and experience how they all work together as a coordinated team to contribute to overall fitness, performance, health and wellness. Choose a combination or attend all 3 for the full experience and gain a more in-depth understanding of the 3 diaphragms as they relate to our health and wellness. **12 hours CEU awarded to PTs and OTs for the full weekend. This session is a combination of lecture and experiential. We will discuss respiratory mechanics and physiology and the most common inefficient breathing patterns in our culture and how they can lead to physical, mental, emotional and energetic imbalances and states of dis-ease in our bodies. We will experience yoga practices including mindful movement, breathing, visualization and mindfulness practices and understand the use of breath to change any aspect of our existence; and use any aspect of our existence to influence breath. Briefly review the anatomy and extensive anatomical connections of the respiratory diaphragm. Learn about the biomechanics and physiology of breathing and how it influences the numerous systems in our body. Define the components of a healthy and efficient breath pattern. Define and explore inefficient breath patterns and the evidence based term: breathing pattern disorders (BPDs). Discuss 3 most common inefficient breathing patterns, and learn how and why they can contribute to physical, mental, energetic and emotional imbalance. Learn the factors that can contribute to inefficient breath patterns or BPDs using a biopsychosocial framework. Learn effective breathing methods that can potentially help optimize tissue oxygenation, enhance organ system function, improve energy, vitality, mental clarity, focus, postural control, sleep patterns, core strategies, stimulate the relaxation response of the nervous system and optimize general overall health and wellness. Participate in a valuable, inspiring and empowering yoga practise that integrates these breathing methods with physical yoga postures, movement, meditation and yogic philosophy. Your pelvic floor plays an important role in bladder, bowel, reproduction, sexual function, breathing, hip function, core strategy system, balance and voice! The pelvic floor is also known to be intimately connected to the feet and the floor of the mouth. This inspiring, educational and empowering session includes both lecture and practice. We will explore evidence surrounding the physical, emotional and psychosocial factors that influence pelvic floor function and integrate this evidence with yoga practices and philosophy (movement, breathing, visualization, awareness, mindfulness/meditation) and physical therapy exercises that can be safely and effectively used immediately to address and maintain optimal pelvic health. Outline the 4 categories of pelvic floor health dysfunctions. Discuss the Chakra system, focusing on the first 2 chakras and how they relate to pelvic health. Awareness practices facilitating PFM excursion and control incorporating a combination of physical therapy exercises and yoga (asana, movement, breathing and meditation) in coordination with breathing and mindfulness. Components of core strategy system, with use of physical therapy exercises, yoga asana, and breathing methods. Evidence informed hip stability and extensibility activities that can optimize pelvic floor function with use of traditional physical therapy exercises, yoga asana and breathing. This intriguing and highly sought after Core Power PhysioYoga workshop discusses the 3 diaphragms of our human body and how they relate to the power of our core strategy system. Be prepared to learn and experience how our pelvic, respiratory and vocal diaphragms all work together as a coordinated team to contribute to overall health and wellness using a yogic approach that parallels a biopsychosocial model. The 3 diaphragm approach to Core Power can help optimize our movement, core strategy and efficiency, breathing, speaking, balance ability, enhance many physiological systems, and can influence our mental and emotional states. This workshop integrates a combination of lecture with a fun, inspiring and valuable yoga practice, including a variety of movements with breath, vocal sounds, awareness methods, visualization and mindfulness practices. You won’t want to miss this unique workshop! Learn and experience how the diaphragms of your body all work together as a coordinated team to contribute to the core strategy system (core power) to enhance movement, performance, influence other aspects of our physiology and overall health and wellness and have techniques to share immediately with students or clients. The Montreal International Symposium on Therapeutic Yoga (MISTY) is a weekend Symposium offering specialized sessions by international based presenters with a medical background who integrate yoga therapeutics in their practice. They come to share Quality Education, Research, Facts, Tools, Experience, Evidence based Yoga. Presentations format are open and welcoming for interactive discussion, creating a exchange of learning for all! ~ Medical & Mental Health Professionals such as Physical Therapists, Osteopaths, Psychotherapists, Nurses, Physicians. Our pelvic floor plays a role in many aspects of our existence that contribute to a healthy life, including breathing, bowel and bladder function, sexual function, hip function, core timing, and more. For both men and women, pelvic health issues such as pelvic pain, incontinence, constipation, pelvic organ prolapse, and sexual dysfunctions are often poorly addressed or left untreated. Shelly created PhysioYoga from her extensive training and experience, resulting in a valuable, unique and evidence-based approach that provides a variety of options to maximize pelvic floor health and overall wellness. Join Shelly Prosko, physiotherapist and yoga therapist for this inspiring, educational, empowering and fun two-part workshop that includes theory and practice. We will explore evidence surrounding the biopsychosocial factors that influence pelvic floor (PF) function and combine it with yoga practices/philosophy and physiotherapy exercises that can be used to address and maintain optimal PF health. The focus of the experiential part will be on practices that address the awareness, visualization and relaxation of the PF. We will focus on practices that facilitate PF engagement in coordination with breath, visualization and movement. 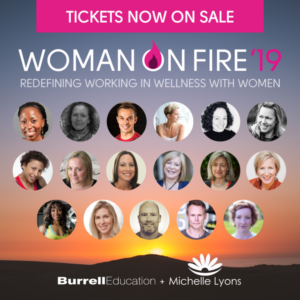 An evidence-informed discussion surrounding the debate of the what, when, who and why of mula bandha and kegels will be included. A case study will be included if time permits. All sessions at MISTY are IAYT Approved Professional Development (APD) courses: CEU’s are awarded to C-IAYT yoga therapists for attendance. REGINA, SK: Creating Core Power: The Diaphragms of Health. Join Shelly Prosko, Physical Therapist, Professional Yoga Therapist, and Pilates Instructor, for this highly sought after PhysioYoga workshop on creating optimal Core Power. • Learn and experience how the diaphragms of your body all work together as a coordinated team to contribute to the core strategy system to enhance overall fitness, performance, health and wellness. • Discuss and explore the myths vs truths of ‘core stability’ from an evidence-informed perspective. • Review the biomechanics and physiology of breathing (foundation of our core strategy) and some of the most common inefficient breathing, alignment and movement patterns in our culture and how they can lead to physical, mental, emotional and energetic imbalances in our bodies. Come learn and experience how your respiratory, pelvic, and vocal diaphragms can be used to influence your overall function and well being. This workshop is a combination of evidence based theory with a fun and inspiring yoga practice consisting of movement, meditation, yoga philosophy and breathing practices. 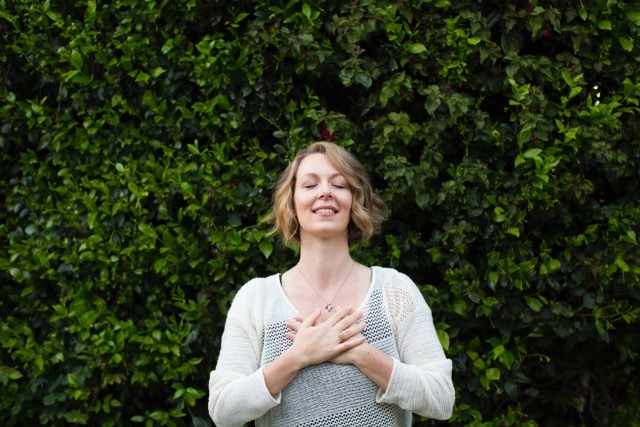 Mindfulness practises are gaining popularity and even appear to be quite trendy these days. Perhaps it is because we know, and have experienced, that there is tremendous value in being present and mindful throughout our day. We talk about mindfulness during many activities such as driving, walking, exercising, eating, socializing, etc; so why not also be mindful while going to the bathroom? Yes, mindful toileting! Being fully present and aware of our bodies, minds and emotions can help release the pelvic floor muscles (PFM’s) when we perform our toilet duties, resulting in successfully completing our task. We often times are in a hurry and rushing with the attitude of ‘hurry up and just get it over with, I have something important waiting’ or our minds are elsewhere as we are texting or reading, which can be distracting from our present intention of the moment: to empty and eliminate! This could lead to not fully relaxing and releasing the PFM’s, or not fully emptying the bowel or bladder, which may potentially lead to or exacerbate a variety of pelvic health issues like urinary urgency, frequency, incontinence, constipation or pelvic pain dysfunctions.